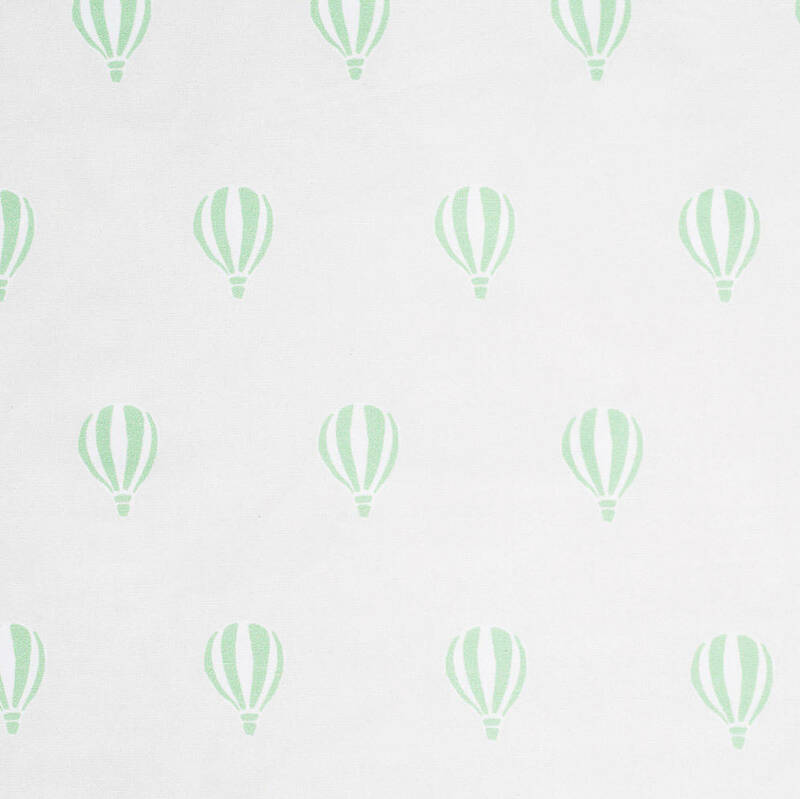 100% cotton fitted sheet in our stunning Balloons print. Designed to fit a standard moses basket mattresses, and can also be used in many prams. Add a touch of style to your moses basket or pram with our fitted sheets. 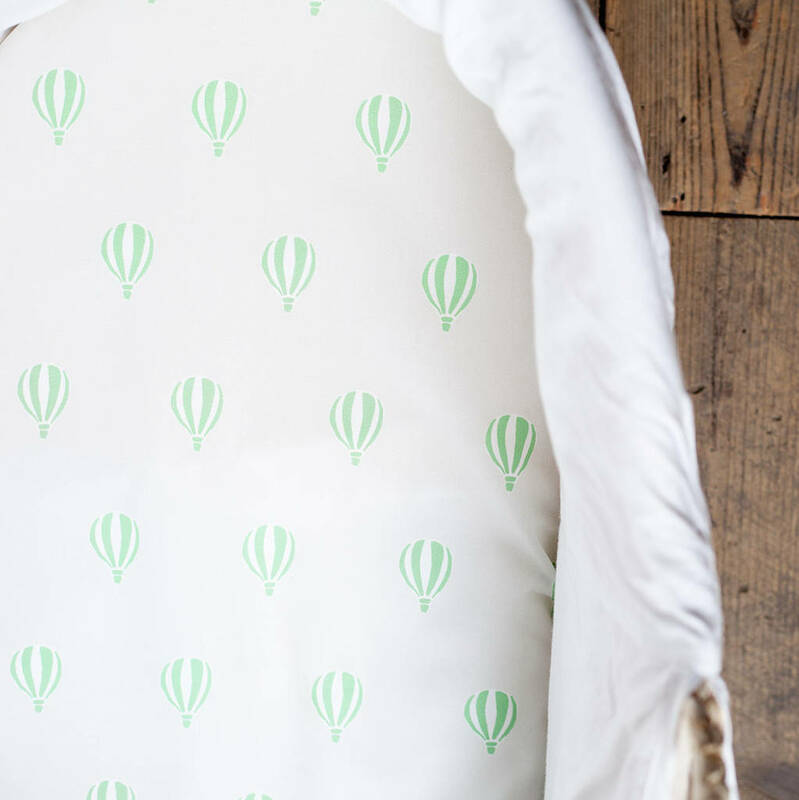 Our balloons print gives a nod to childhood whilst the calm colour combination is a perfect unisex choice. 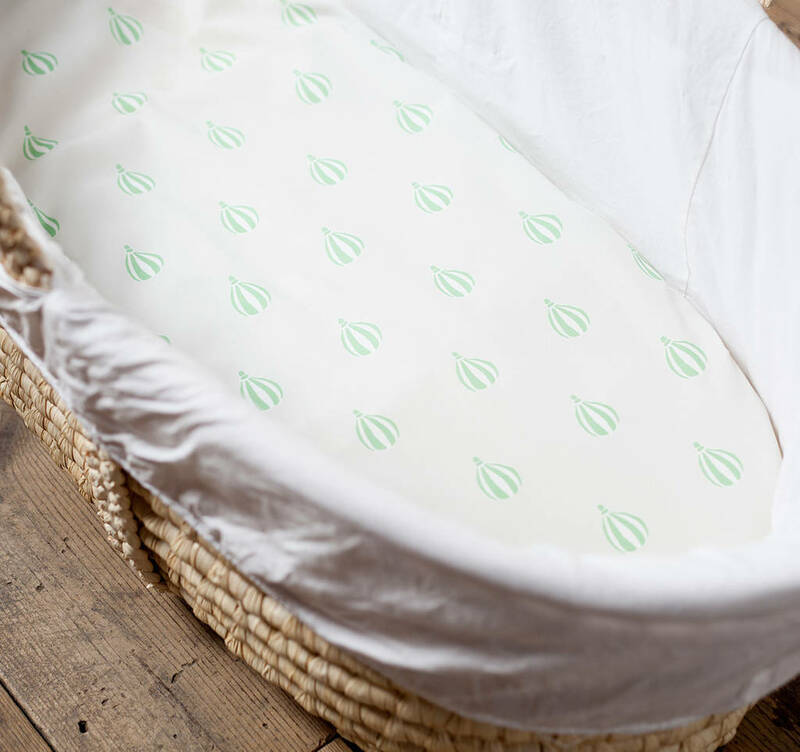 Designed to fit a standard moses basket mattress, these versatile sheets can also be used in prams and buggies. 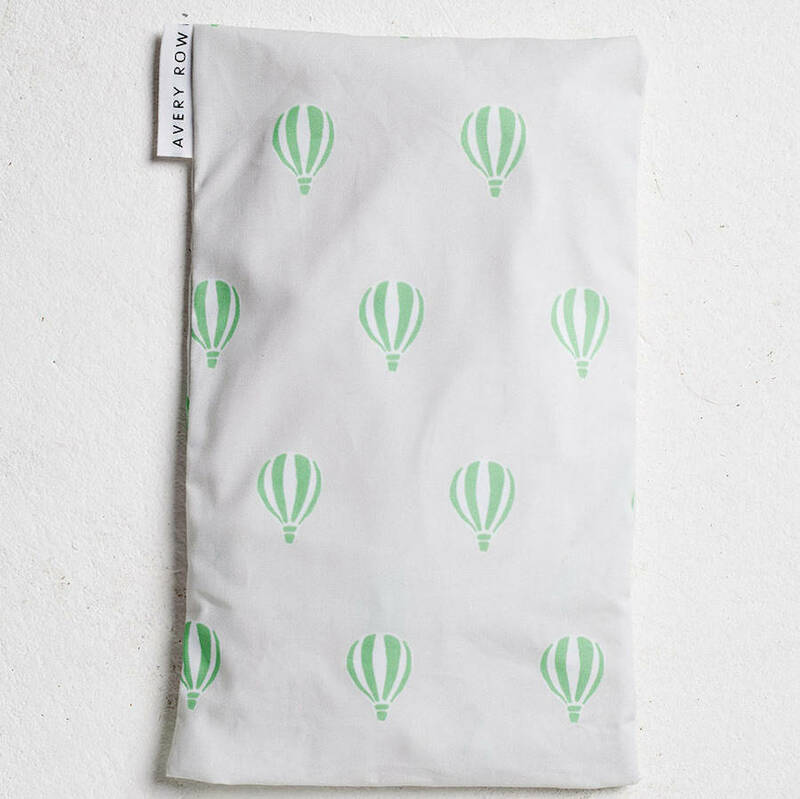 Packaged in a beautiful fabric pillow bag, they also make a perfect gift for any new parent. This product is dispatched to you by AVERY ROW.